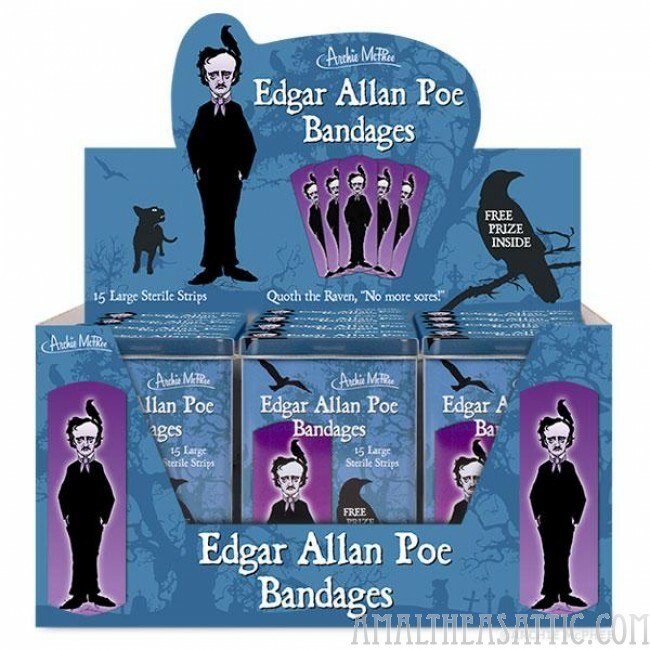 Edgar Allan Poe is associated with the macabre, so it’s only natural that his image would be on bandages covering your wounds. Each 3-3/4" (9.5 cm) tall metal tin comes with fifteen 3" x 1" (7.6 cm x 2.5 cm) sterile strips decorated with the image of Poe and his raven. 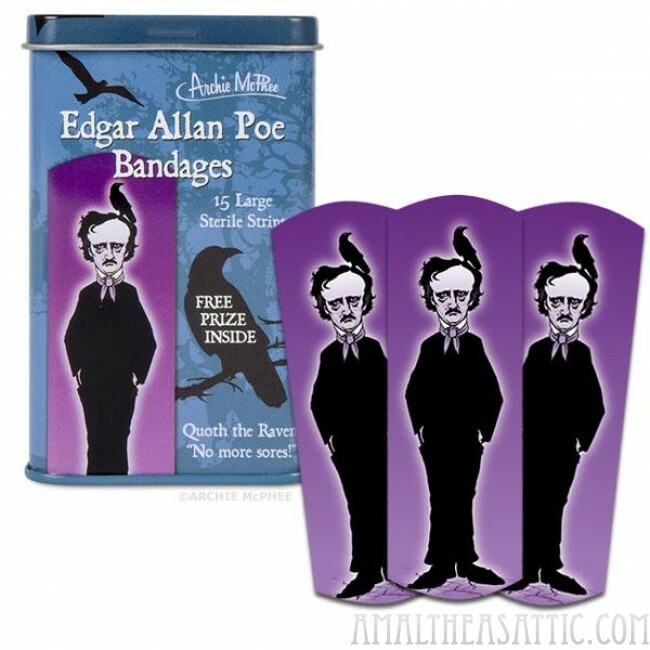 As it says on the package, “Quoth the Raven, ‘No more sores!’” Comes with a FREE PRIZE! Latex-free adhesive.